Clinton is a city of approximately 5000 people, located in west central Indiana. It is home to the annual Labor Day weekend Little Italy Festival. 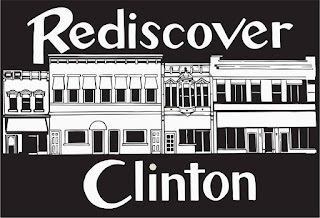 I saw a news story awhile back about Rediscover Clinton, a group formed in late 2014, that is made up of committed business owners and local leaders who are working to revitalize the downtown area of Clinton between Main and 9th, and who are working to help preserve its rich cultural heritage. I had the opportunity recently to talk with Dylan Riggen, who is the executive director of the Vermillion County Economic Development Council. I got an inside look at Rediscover Clinton and it's beginnings, and heard about what they hope to see happen in the future! Rediscover Clinton was founded from the Community Development Committee of the Vermillion County Economic Development Council. The idea was first tossed around and then mentioned to the mayor in late 2014. Then followed several meetings with OCRA (Office of Community & Rural Affairs) and it's West Central Liaison, Jill Curry, who helped get the group up and going. The group is working to be identified as an Indiana Main Street Organization. After being a member of that for at least one year, they would be able to apply for certain things like building facade & sidewalk improvement grants. Their main focus at the moment is to create more collaboration between businesses with a "Shop Local" campaign, and also with enhancing the look and feel of downtown Clinton. They have created two community calendars to showcase local events, four banners at each entrance to the city that show the group's name and tagline, and hanging flower baskets for Main & 9th Street. On June 15, the first of the four 40-foot banners was put up with the assistance of the local fire and police department. The first community calendar was installed on July 17 at the City Building. The group's efforts have not gone unnoticed either. A sort of ripple effect has started to happen throughout the city and beyond, with different people and groups sprouting up to tackle tasks and ideas. One example, Jeff Winchester, the owner of Pike Bike Tune-Up & Repair is using the momentum to create a walking and bike trail in Sportland Park. Other local cities (Cayuga, for one) have also shown interest in how they can get something similar started in their towns! Many business owners and citizens have been looking for something like this for a long time and the community leaders have provided the opportunity. The board of Rediscover Clinton is comprised of around 15 people and has various subcommittees where a LOT of work is going on. Mary Cuel-Spendal, owner of Spendal's Macelleria, is in charge of the Economic Development group, and is working on creating the "Shop Local" Campaign, and Gerrie Wilson, owner of Gerrie's Restaurant, is heading up the Design Committee. Becky Miller, who is the Ivy Tech Resource Development Director and the owner of Attic Buddees in Clinton, is heading up the Events Subcommittee, which is working to create more collaboration with individuals that have been putting on existing events on Main & 9th Streets. Many citizens and business owners have organized holiday family-friendly events in the past featuring activities, games, treats, music, and more - my family and I have went to several of them and highly enjoyed ourselves. The Events Subcommittee is hoping to help the existing events work together - they met just last week to discuss the upcoming Halloween and Christmas celebrations. And looking to the future - Rediscover Clinton will be hosting a fundraising event called the "Taste of Clinton" which will feature local businesses from Clinton and the surrounding cities in Vermillion County, to showcase their cuisine or other offerings. It will take place on November 7th at 6 PM at the Community Recreation Center in Clinton. I enjoyed talking to Dylan and I admire his passion and dedication to the city of Clinton. I have always loved the closeness and community that the Indiana small towns I grew up in and live in now have. It's great being able to go into Clinton and know who I'm buying things from or doing business with, and also knowing that I'm helping neighbors make a living. Or going to a restaurant where the waitress remembers me and asks how my kids are doing. 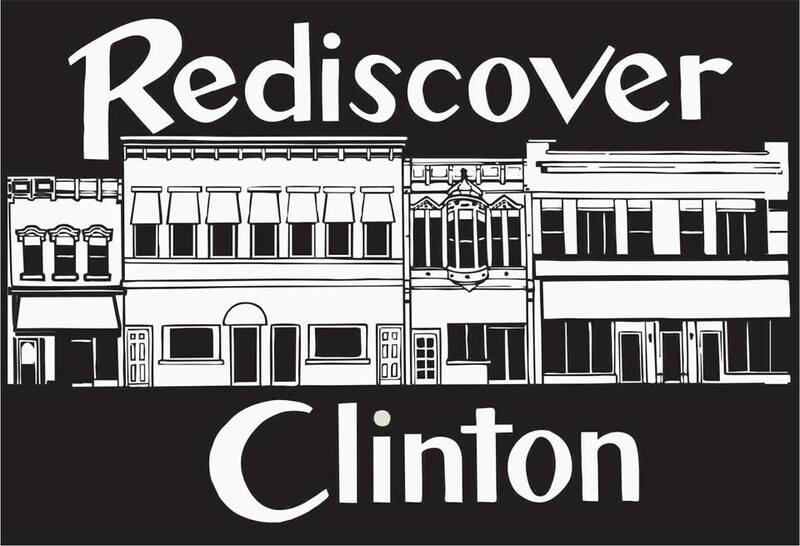 The overall mission of Rediscover Clinton is one I heartily applaud - to get Clinton citizens re-engaged in their community, and to bring back the sense of pride that once existed in this great town! If you're interested in volunteering for Rediscover Clinton, simply fill out their volunteer form. Or visit their Facebook page - Rediscover Clinton - for more information!